CREA Mont-Blanc (The Research Center for Alpine Ecosystems ) is an organization, based in Chamonix, specialized in the study of natural mountain environments. For over 20 years, CREA Mont-Blanc has been combining high quality ecological research with communication and education initiatives. CREA Mont-Blanc is a pioneer and leader of citizen science in France and maintains a strong commitment to participatory science, aiming not only to encourage the understanding of ecology, but also to directly involve the public in innovative scientific research. Part of the philosophy behind CREA Mont-Blanc includes citizen participation and open source data for their projects. How does CREA Mont-Blanc, then, influence the decisions, methods and visions in public policy? That’s the whole question! As a scientific NGO, we aren’t an activist organization, but rather, we want to better understand the mountains ecosystems–how species function and respond to climate change. Through our citizen science initiatives, we encourage everyone to help us collect data that is both useful for our research and the international scientific community. Scientists, students, citizens, land managers, decision-makers, businesses and media… It is by providing everyone with scientific information and a sense of curiosity and wonder that we can help citizens and decision-makers to work together and take informed action to preserve the amazing world around us. How do you explain CREA Mont-Blanc’s projects to non-professionals and encourage them to get involved? Is it difficult initially to have them actively partake? The most difficult is not to involve them, but to have them continue to participate in the long run in their observation area. You know, scientific data is more reliable when it is collected by an experienced observer. But, before you become experienced, you are a beginner. The greatest scientists were all oncebeginners. Then they studied. For a citizen, it’s the same. At the beginning, you don’t have confidence. The first year, you progress, you take ownership the protocol and avoid observation mistakes. The longer our volunteer observers stay involved, the more reliable their data is. The average observer stays involved for around 3 years, and the challenge for CREA Mont-Blanc is to make sure they don’t get bored. Science can be a bit repetitive, so we have to work to keep them motivated. Tell us about outcomes and goals of some past projects and initiatives developed and coordinated by CREA Mont-Blanc – first off we would like to know something more about The Mont-Blanc Lab, the 3 day marathon that, like Museomix, brings together multidisciplinary teams for 3 days with the aim of creating a useful prototype, in this case the detection and analysis of data. The Mont-Blanc Lab was a collaborative marathon to highlight the natural and scientific heritage of the Mont Blanc Massif. Mountain lovers, mediators, communicators, artists, coders and makers contributed to the diffusion and the appropriation of knowledge around the scientific data between France, Switzerland and Italy. It was an immersive mountain experience at 2200 m altitude, with researchers, to inspire people to change the way they think about science and about the mountains. With this event, we want to get closer to the public, and provide participants and even ourselves with an experience that was new and different. We didn’t just want to develop contents and prototypes but also create an active community. And we succeeded, some of them are today’s volunteers or ambassadors and we’ll host another edition in autumn 2019! 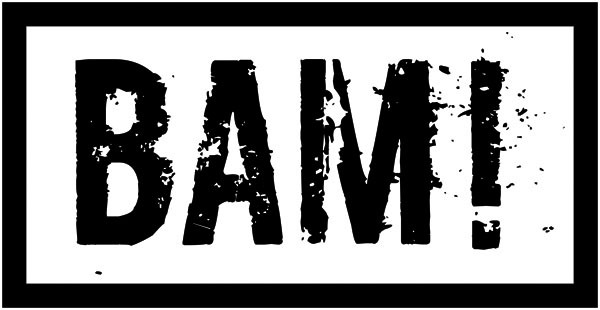 Read other interviews to other BAM!’s guests!